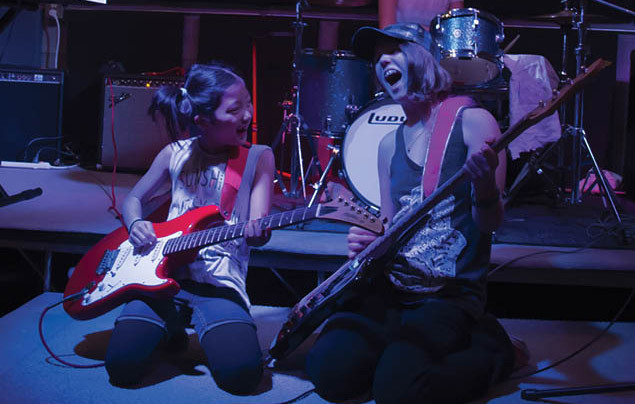 A rock ’n’ roll retreat empowers girls on and off stage. For as long as St. Louis Park resident Jenny Case can remember, music has been in her life. Piano lessons as a kid turned to guitar lessons, and in high school she formed an all-girl band. She started teaching guitar and piano lessons at the age of 16, and has been teaching and playing in bands ever since. Case had just read an article on girls’ rock camps starting in Portland and realized this was how she could help girls in the Twin Cities live their rock dreams, and do it without fear of judgement. On the drums: Meredith Reise. guitars: Carly Neville (left) and Ruby Viot (right). bass: Svea Bleske. Case gathered a group of women to get it started, and in the summer of 2007, the first week-long Girls’ Rock and Roll Retreat (GRRR) took place in Golden Valley. It’s grown since then—now under the umbrella of nonprofit She Rock She Rock, taking place every summer for one week at Mainstreet School of Performing Arts in Hopkins, and two weeks at Laura Jeffrey Academy in St. Paul. 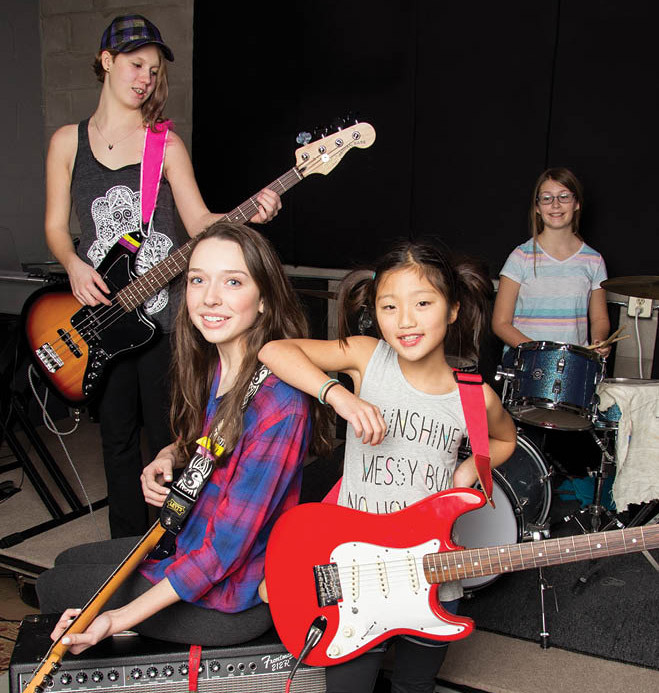 Girls ages 8 to 16 can sign up for one week every summer, and there is no musical experience necessary. The first band rehearsal is mostly the girls making rules for the group, “like band agreements,” Case says. The band rehearsals throughout the rest of the week are for the girls to write songs. They have band “coaches” helping them, but they don’t write the songs for the girls; “they help facilitate the process.” During that time, the girls learn their instrument, or learn how to play their song. On Friday, everyone gets on a bus and goes to O’Gara’s in St. Paul to perform their songs on stage in front of friends and family. While the girls are going from zero to rock star in a week, they’re also learning about women’s empowerment. The teachers go through the rules of camp on day one, performed in skits, and “one of the rules is you’re not allowed to apologize,” Case says. “You say, ‘I rock!’ ” Messing up a chord or hitting the wrong note is OK, so the hope is to get out of the habit of saying sorry unnecessarily. Another rule is to avoid comments on appearance. Rather than comment on a cute shirt, compliment the lyrics someone wrote, or on the great job that they did during rehearsal. Throughout the week, couselors bring up a “topic of the day” during morning skits, and workshops in the afternoon delve into the topic. Gender identity is one topic, self-defense another, with self-defense skills taught in the afternoon. The Ekman sisters first went to GRRR two years ago because Katherine wanted to start a band. Since then, they have both learned guitar and a whole lot more. “It generally teaches us how to get along with people because we have to listen to other people’s ideas as well as our own,” says Lizzy. Her sister agrees. “I think that making a band is also more about finding yourself within other people, too. 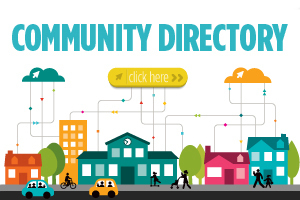 Like all of you coming together, sharing ideas in a little community,” Katherine says. Evelyn Speers has been going to GRRR since she was 11. When she started, she only played the viola. Today, at 15, she also plays the acoustic guitar, electric guitar, bass guitar, drums, keyboard, cello and is learning how to play the ukulele. Case says they change the workshops every summer at GRRR, so girls can return year after year and always learn something new. And the rest of the year they can participate in other programs under the She Rock She Rock nonprofit, founded in 2009. There are also afterschool programs at Lake Harriet House of Music and Teen Girls Recording Camp for girls 14 to 18. Then there’s Ladies’ Rock Camp for women 19 and up, and open mic nights in various locations. She Rock She Rock is always changing and adding new events, and the goal is to keep spreading throughout the Twin Cities and beyond, with Case leading the way. “Some people give us [a hard time] about, well, why does it have to be all girls?” Case says. “Well I’ve seen it—it’s been black and white for me.” And with GRRR, these girls rock.